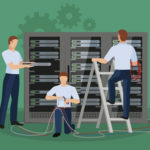 IT Departments' Checklist for Relocating Office & IT Infrastructure : Consolidated Technologies, Inc.
Office relocations in the modern technological age involve much more than they did in the past. You’re not just moving your furniture — you’re moving an entire IT infrastructure and network configuration; and you’re trying to do so with as little downtime as possible. With this daunting task, it can be easy to overlook things, giving yourself more of a headache when you eventually move to your new location, and possibly causing more downtime than you were hoping for. Establish a schedule for the moving process and take stock of any projects that may be affected by the move in resources. Analyze your existing location and its facilities, utilities and other relevant IT factors. Blueprint your new office space in detail, including workstations, IT infrastructure, equipment stores, fixtures and other features. If any new building is involved, contact your architect or contractor to discuss the details of the project. Estimate the costs of the move, including a contingency fund, to get a comprehensive budget. Compile an inventory of all IT assets in your current office. Compare your existing IT infrastructure to the one at your new location. Determine the placement requirements for your equipment, connections and peripherals. Assess your existing cabling to determine if you need to update or expand it to fit your new location and industry standards. 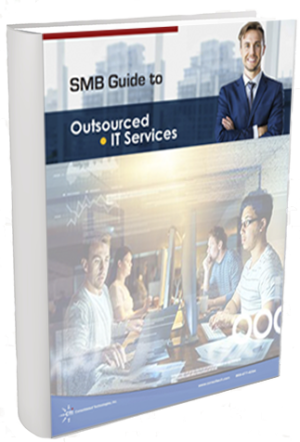 Consider all upcoming IT acquisitions and upgrades to determine if you can accomplish them in tandem with the move. Create a plan for selling or disposing of obsolete equipment and furnishings. Create a plan to handle any network downtime. This may include purchasing redundant hardware or software to support you during the move. Ensure continuous communications by considering your VoIP telephony system and SIP trunking technology. 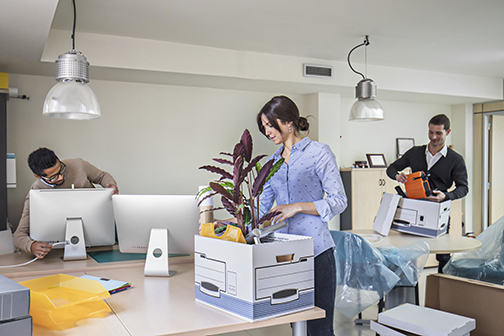 These systems usually come with continuity and disaster recovery capabilities built in, so you can reroute phones if your communications go out during the move. Assess what you need to do to handle voice data in your network during the move and setup process. Take an inventory of your communications devices across your personnel and business divisions. This includes handsets, computer system softphones, smartphones and other mobile devices to determine who needs what and what kind of network strength your business needs to support it all. Determine how many phone lines you need and arrange the transfer of all phone numbers you want to keep. Notify your telecom provider of your move and discuss with them how calls will be handled during the moving process. Take inventory of all existing and expected protected assets and resources. Develop a plan for protecting your data in transit. Create a detailed list of employees, business groups and administrators and their current network access rights. Detail your company’s existing security policy and update it if needed to include all access and verification procedures. Determine all the tools needed to maintain or enact your procedures and protect your hardware and data. Assess contracts with security vendors and renew, negotiate or cancel plans as needed. Develop multiple contingency plans to cover any delays, equipment breakages and security breaches. Make physical copies of all your data and store it in a safe location for the duration of the move. Back up your systems to your cloud service provider and notify your provider of the relocation to discuss security protocols, potential changes and any special conditions that may apply to the new environment. Work with a company that has overseen IT infrastructure relocations before for assistance. Consolidated Technologies, Inc. has helped several businesses relocate and improve their IT infrastructures, and we can do the same for your business. Join over 2,000 companies who have trusted us to help them navigate the ever-changing technological world — and let us help you explore the possibilities for your business! Contact us today to learn more.